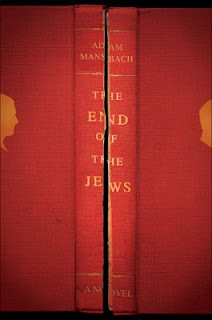 The End of the Jews is not a book about Jews, any more than it is a book about Jazz, Graffiti, or Czechoslovakia, though the culture of all of them are essential to the characters and plot. It’s also not some sort of Nazi how-to manual, despite the fairly awful title. It is however, a good book. Insightful enough to create meaningful characters, layered enough to be a critique of itself and the process an author goes through to create, and readable enough to make you wish your subway ride was a little longer. Like the Jazz this book often pivots around, themes are repeatedly riffed on, and subtly changed each time; marriage, genius, identity. And like Jazz the riffs are sometimes the purpose, and sometimes the vehicle. I couldn’t really tell you what this book is about, but I can tell you to read it.